To report machine data to your applications you have to be able to acquire it from your devices. 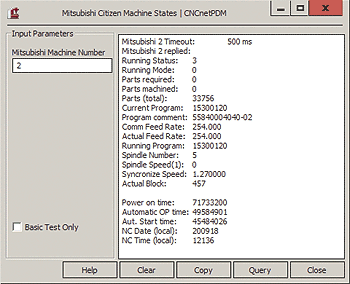 For machines equipped with Mitsubishi controllers you can use the utility program MitsubishiM70.exe to do so. The program uses the most recent version of Mitsubishi’s M700/70 API (Application Program Interface) functions to access the controller and query data.